Radon is found throughout many homes in the Hudson Valley. 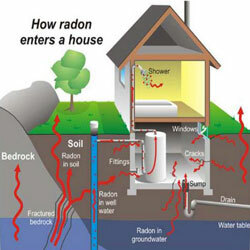 Radon is a naturally occurring, inert gas that cannot be seen or smelled. It is in both outdoor and indoor air of buildings of all kinds. The EPA recommends that the problem be addressed if a home's radon level is 4 pCi/L (picocuries per liter) or more. Because there is no known safe level of exposure to radon, the EPA also recommends that the problem be addressed for homes with radon levels between 2 pCi/L and 4 pCi/L. Radon is the number one cause of lung cancer among non-smokers, according to EPA estimates. Overall, radon is the second leading cause of lung cancer. Radon is responsible for about 21,000 lung cancer deaths every year. Unfortunately, many people presume that because the action level is 4 pCi/L, a radon level of less than that is considered safe. This perception is all too common in the residential real estate market. In managing any risk, we should be concerned with the greatest risk. For most people, the greatest exposure to radon is inside their homes, especially in rooms that are below grade, such as basements, rooms that are in contact with the ground, and the rooms directly above them. Primary Home Inspections offers radon testing, which can be added as an additional request item to your base home inspection, or it can be done completely separate from a base home inspection. The measurement samples are collected after a two day period of indoor air exposure and sent to a New York State Environmental Laboratory Approval Program (ELAP) approved laboratory. You will receive a summarized report with findings and recommendations. Maintaining the septic system protects your investment in your home. The system should be periodically inspected and pumped out. 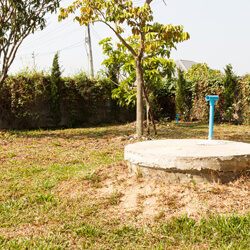 If properly designed, constructed, and maintained, a septic system can provide long-term, effective treatment of household waste water. 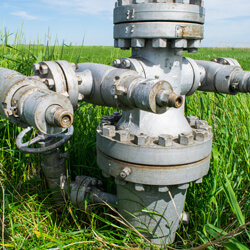 A malfunctioning system can contaminate groundwater that might be a source of drinking water. Inspect your system regularly and pump your tank as necessary. Avoid disposing household hazardous wastes in sinks or toilets. Primary Home Inspections offers septic dye testing, which can be added as an additional request item to your base home inspection, or it can be done completely separate from a base home inspection. A septic dye test involves the introduction of a florescent dye into the plumbing system and visually inspecting the area of the septic tank, distribution box, and leach fields. Mold spores are found both indoors and outdoors. Mold spores cannot be eliminated from indoor environments. Some mold spores will be found floating through the air and on settled dust; however, they will not grow if moisture is not present. Mold becomes a problem indoors when spores land on a wet or damp spot and grow. As mold grows, it digests whatever it is growing on. Unchecked, mold growth can damage buildings and furnishings. Mold can rot wood, damage drywall, and eventually cause structural damage to buildings. Mold can cause cosmetic damage, such as stains. The potential human health effects of mold are also a concern. It is important to prevent mold from growing indoors. Looking for evidence of mold growth is part of a home inspection from Primary Home Inspections. 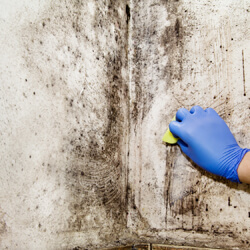 Mold requires favorable conditions to grow. If evidence of mold issues are observed, the inspection will drill down to identify what is causing the environmental conditions needed for mold growth and provide recommendations to reduce or eliminate those conditions. Identifying the cause of mold growth is essential prior to any remediation process that may be needed. View this informational video on helping control mold and mildew in your home. If the home you are purchasing has a private well supplying water to the home, it must be tested for bacteria not only to assure you peace of mind, but to meet most lenders’ requirements. Primary Home Inspections offers well water testing, which can be added as an additional request item to your base home inspection or it can be done completely separate from a base home inspection.